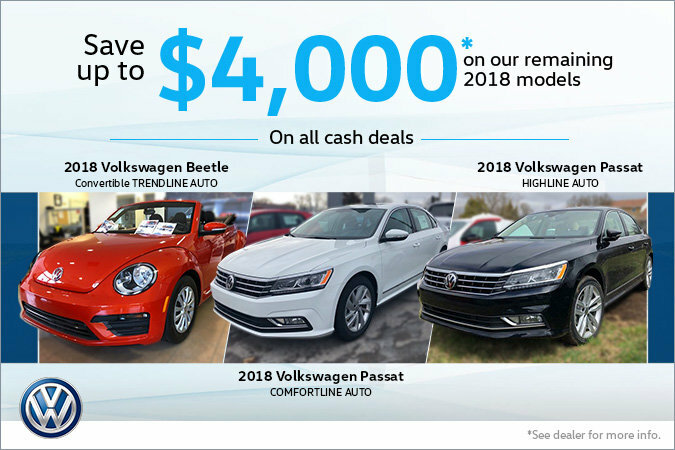 It's our 2018 Clearance Event at Belleville Volkswagen! We need your help to make room for our 2019's, so hurry in today as this offer will not last long! Save even more on Demo models, including the 2018 Atlas and Passat. Finance rates starting at 0%. All 2018 model prices reduced for cash and finance deals. *Conditions may apply, see dealer for details.